The BlackBerry PlayBook may not land in the UK 'til next month but sales in the US are going great guns, according to an analyst who estimates that 250,000 have been sold to date. RBC analyst Mike Abramsky has penned a note in which he examines sales of the RIM tablet and notes that, if his estimations are correct, the PlayBook's numbers are better than the much-hyped Motorola Xoom's were at launch. "Checks at 180 Best Buys show 14 per cent of the 16GB sold out, 71 per cent of the 32GB sold out; however, 32GB/64GB stockouts appear allocation-related," he writes. As far as returns go, Abramsky claims they are "nominal to date", although we suppose that doesn't include the 900 that RIM recalled due to a software fault. 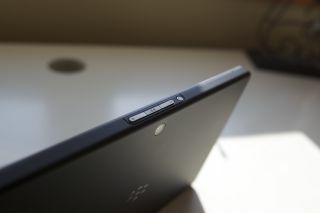 The BlackBerry PlayBook has been widely criticised for its over-reliance on an additional BlackBerry smartphone, which is needed in order to make use of basic functions like email and calendars. However, these early sales estimates seem to fly in the face of the less-than-brilliant reviews (including TechRadar's own). The 7-inch tablet is set to hit the UK on 16 June when it goes on sale at Phones 4U, Carphone Warehouse, Best Buy and the Dixons Group.